1. 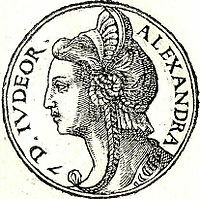 Salome Alexandra – or Alexandra of Jerusalem – was one of only two women to rule of ancient Judea (76-67 BCE) and the last ruler of the independent kingdom to die. 2. She became queen when her husband, Alexander Janneus, died. While he was king, she seems not to have wielded great political power. There was strife during his reign, and he actively sought to suppress the Pharisees (traditionalists) in favor of the Sadducees (Hellenists). According to Talmudic sources, she sought to protect the Pharisees from his persecution. The Talmud says she was the sister of the sage Shimon ben Shetach, a Pharisee – though Josephus doesn’t mention any such connection. In any case, upon his death Alexander Janneus left the government to the care of his wife, rather than to any of his sons. 3. As queen, she immediately set out to settle differences. She made peace with the Pharisees, thus securing the Hasmonean dynasty. The Sanhedrin – initially established by her husband – was reorganized in favor of the Pharisees, and her eldest son, Hyrcanus II, was made high priest. Also, she reinforced protection of Judea’s borders by fortifying towns. 4. Her reign brought peace and prosperity – Shlomtzion means “peace of Zion.” Indeed, rabbinical sources relate that while she ruled the rain fell only on Shabbat, enabling working people to earn money every working day. Grains of wheat were said to have grown as large as kidney beans, and all things fared well. Who am I to say differently? In Tel Aviv, you’ll find Shlomtzion Hamalca Street north of Yehudah HaMaccabi and south of Bene Dan, near the Yarkon River and the youth hostel. 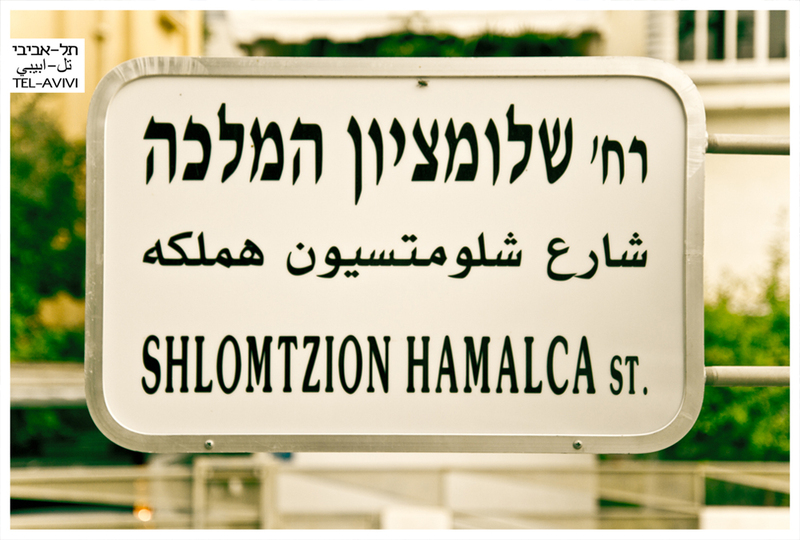 In Jerusalem, look for Shelomziyyon Hamalka near the City Hall and the Mamilla Mall. My thanks to Ido Biran, Telavivi, for his photo of the street sign in Tel Aviv.